‘Tis the season to…bake cookies! I love making cookie platters filled with my favorite cookies; sugar cookies. I found 5 delicious Sugar Cookie Recipes from my favorite food bloggers, which sugar cookie recipe will you try or do you have another one to share? These Glazed Lemon Sugar Cookies by Swanky Recipes make a great addition to your cookie platters. You can either zest your own lemon with a lemon zester or use dried lemon peel. The children will love decorating Tastes of Lizzy T’s Almond Sugar Cookies with brightly colored sugars. 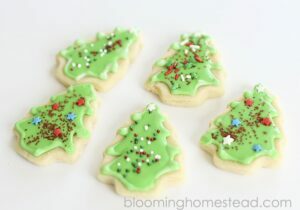 or make Blooming Homestead’s Easy Sugar Cookie Recipe and let the kids have fun with some cookie cutters. No cookie platter is complete without these Peppermint sugar cookie sandwiches by Cookie Dough and Oven Mitt. Beautifully flavored with Peppermint oil for that “made for Christmas” taste. Add some flair to the cookie platter by using a muffin pan to make Kleinworth & Co.’s Cannoli Sugar Cookie Cups. 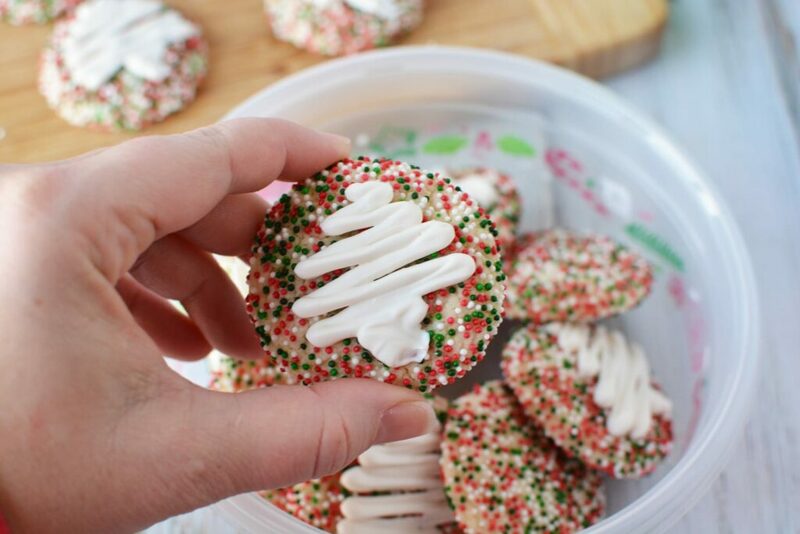 You will also like this recipe for Sugar Cookies made from a cake mix. Do you have a sugar cookie recipe to share with us? Are you on Pinterest? We love it when our readers share our posts on Pinterest. Simply use the “P” icon to the left of the post! 5 Delicious Sugar Cookies – Easy Recipes from Our Favorite Bloggers first appeared on More with Less Today.